This is how you ask your girls to get in formation fo your wedding day. He put a ring on it. (Yes!) Now the real fun begins. it’s time for your best girlfriends to get into formation and prepare to stand by your side on the big day. When the time comes to ask their sisters, friends and family members to be bridesmaids, brides go all out. From custom “Will You Be My Bridesmaid?” cookies to personalized videos, every bride strives to “pop the question” in a big and meaningful way, and we just spotted a new way we love. 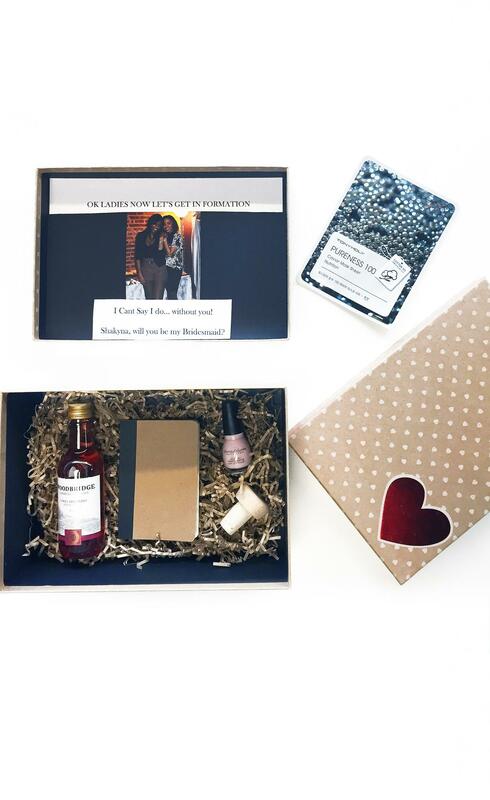 Beyoncé’s new single “Formation” was released just in time to inspire bride-to-be Salwa Benyaich, who designed custom gift boxes inspired by the lyrics for each of her bridesmaids. 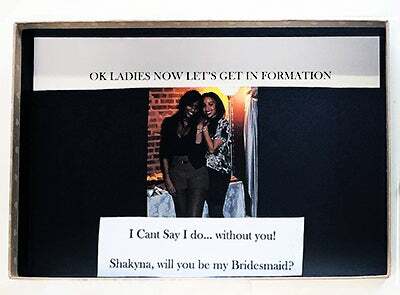 Inside each personalized box of goodies the bride included a photo of herself posing with the friend and a message that read: “OK ladies, now lets get in formation.” She proposed to each bridesmaid separately, and it looks like they all accepted. The #BeyHive will be proud.